Actress Rachel Weisz, who played historian Deborah Lipstadt in Denial. with the eminent historian. 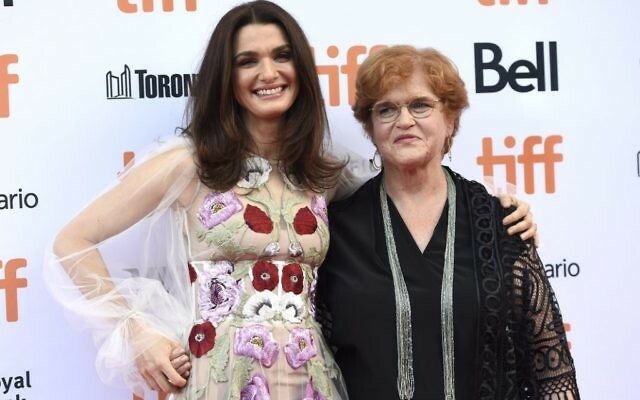 Rachel Weisz and historian Deborah Lipstadt were all smiles at the world premiere of her new film, Denial, the much-anticipated real-life drama retelling the Harvard professor’s courtroom battle with Holocaust denier David Irving. The Jewish actress stars as Lipstadt, who was sued in 1996 for libel by the disgraced author, played by Timothy Spall. Denial, which was unveiled at the Toronto International Film Festival at the weekend, shows Irving maintaining that no Jews has been killed in gas chambers at Auschwitz and that the claims of Holocaust survivors were untrue. Lipstadt wrote a book about her experience, Denial: Holocaust History on Trial, which provides the basis for the film. Both parents of Weisz, who is married to actor Daniel Craig, were forced to flee Nazi persecution during the Second World War. “I felt it was a very important story for the fight for truth and the fact there’s a difference between fact and opinion,” she told Reuters. Denial is released in UK cinemas in February.